The Citizens Coalition for a Safe Community was born out of the efforts of grassroots community organizing in 2008 by a number of residents of Los Angeles County. Our main mission being the protection of the environmental health and safety of Los Angeles County residents. We believe existing environmental regulations and other decisions, particularly those based on risk assessment, have failed to adequately protect human health and the environment in development and expansion approval of industrial operations in close proximity to densely populated residential neighborhoods. We believe our purpose is to alert, educate and empower residents to participate in the governmental process with informed public comment to projects negatively impacting our community. On the issue of the Inglewood oil Field expansion we held numerous community screenings of the documentaries “Split Estate” and “Gasland” along with educational meetings on the environmental hazards associated with urban oil and gas production in the Inglewood oil field. We have worked with other community groups in facilitating informed participation by area residents in Los Angeles County hearings when considering the Baldwin Hills EIR-CSD. We believe science and its application to decisions of development is what needs to be considered first and foremost without compromise to promises of community benefits. Los Angeles Is Being FRACKED Gary Gless (CCSC President & Windsor Hills Resident) and Margaret Richard Bowers (resident of Ladera Heights) are interviewed by Sabrina Artel about what life is like on the country's biggest urban oil field. Scroll down to hear podcast!Also See NBC Coverage of Fracking Hearing June 12 HERE. Will the Sky also be Pink in Los Angeles? Must see video by Josh Fox. March 23, 2012 KCET aired a special segment of "SoCal Connected” on the controversial fracking technique used in the Inglewood/Baldwin Hills Oil Fields. 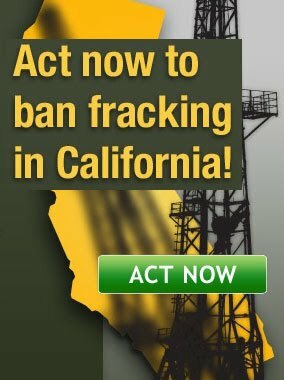 CLICK HERE to watch"The 'F' Word: Unregulated Fracking at Oil Wells Raising Concerns" courtesy of KCET.